Start off your visit on the 1st (Mon): glide through natural beauty at Levi Ski Resort. Get ready for a full day of sightseeing on the 2nd (Tue): take a stroll through Ounasjoki - River for activities, then take a memorable tour with Tours, and then look for gifts at Elan Ski Shop & Rental. For reviews, more things to do, maps, and more tourist information, go to the Levi online trip itinerary builder . New York City, USA to Levi is an approximately 20.5-hour flight. The time zone changes from Eastern Standard Time to Eastern European Time, which is usually a 7 hour difference. Traveling from New York City in July, things will get cooler in Levi: highs are around 66°F and lows about 50°F. Finish your sightseeing early on the 2nd (Tue) to allow enough time to travel to Saariselka. 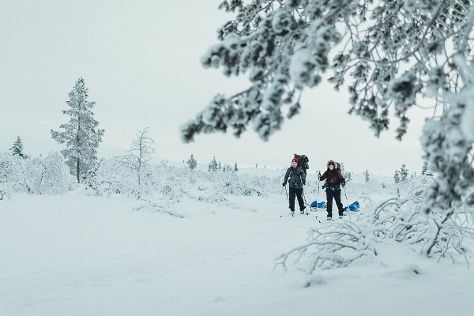 Escape the urban bustle at Urho Kekkonen National Park and Saariselka Ski & Sport Resort. Explore hidden gems such as Nature & Wildlife Tours and Pielpajarvi Wilderness Church. When in Saariselka, make a side trip to see Saint Tryphon Pechenga Orthodox Church in Inari, approximately 1h 10 min away. For traveler tips, ratings, other places to visit, and other tourist information, read Saariselka road trip planner . Fly from Levi to Saariselka in 3 hours. Alternatively, you can drive; or take a bus. In July in Saariselka, expect temperatures between 64°F during the day and 49°F at night. Wrap up your sightseeing on the 5th (Fri) early enough to travel to Pyhatunturi. Start off your visit on the 6th (Sat): explore and take pictures at Amethyst Mine Lapland, look for all kinds of wild species at Kopara Reindeer Park, and then see exotic creatures in open habitats at a safari tour. Get ready for a full day of sightseeing on the 7th (Sun): explore the wealth of natural beauty at Pyha-Luosto National Park. To find ratings, other places to visit, more things to do, and more tourist information, use the Pyhatunturi online trip planner . Traveling by car from Saariselka to Pyhatunturi takes 2.5 hours. In July, daily temperatures in Pyhatunturi can reach 68°F, while at night they dip to 50°F. 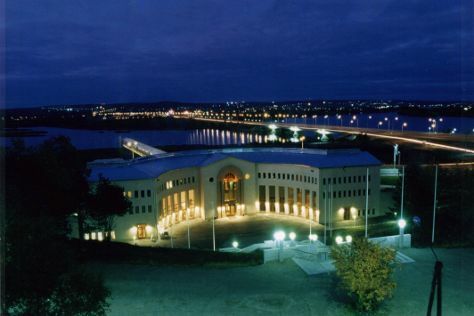 Finish your sightseeing early on the 7th (Sun) to allow enough time to travel to Rovaniemi. On the 8th (Mon), take an exotic tour of a safari tour, enjoy some diversion at Santa Claus Office, then explore the different monuments and memorials at German Soldier s Cemetery, and finally get engrossed in the history at Arktikum. On the 9th (Tue), you'll have a packed day of sightseeing: examine the collection at Santa's House of Snowmobiles and then get engrossed in the history at Rovaniemi Local History Museum. To find other places to visit, photos, and other tourist information, read our Rovaniemi online holiday planner . Traveling by car from Pyhatunturi to Rovaniemi takes 2 hours. In July, daytime highs in Rovaniemi are 67°F, while nighttime lows are 52°F. On the 9th (Tue), wrap the sightseeing up by early afternoon so you can travel back home.